Robin van Persie was not a happy bunny when his coach, Bert van Marwijk, replaced him with Klaas Jan Huntelaar with ten minutes to go against Slovakia. Dutch won the match 2-1 and advanced to the last eight, where those who plan to bet on world cup quarterfinals should note - they will face the mighty Brazil. Van Persie has looked rusty in South Africa this summer, after missing the majority of the season at Arsenal with an ankle injury. He has found the net only once so far, in their 2-1 Group E victory over Cameroon. His frustration at being brought off against Slovakia was evident as he made his way off the pitch, he was clearly not happy. Reports have come out that van Persie thought man of the match, Wesley Sneijder, should have been replaced rather than himself. Since then van Persie and van Marwijk have come out saying there is no problems in the squad, although the Dutch have called a team meeting before the Brazil match. The Arsenal striker has explained that his reaction was simply down to his desire to score for his team. After missing so much action this season, van Persie is desperate to play all game every game. He will need to find his scoring boots against Brazil, in the quarter-final in Port Elizabeth. Brazil have looked unnerving good in their journey to this stage, and Holland will need their big players to perform. If you were to bet on world cup semi final participants at this stage, the boys in yellow are certainly favorites to progress. With Arjen Robben match fit again and looking deadly along with Sneijder, they will be hoping their front-man van Persie gets on the end of the chances they supply. This Holland team have their best chance in recent years of success at the World Cup, if they get an early goal against the Brazilians then they could spring another shock at this tournament and make the semi-finals. Although most England fans will currently be in a self-pitting hungover malaise following yesterday's 4-1 humbling by Germany, one man could be forgiven a wry smile. Sol Campbell made a shock return to Arsenal in January and he was more than a little disappointed not to make a surprise return to the England line up ahead of the World Cup. Now, having witnessed some truly shocking defending in the side's last 16 game against their old rivals, he will feel even more certain he should have been given the nod. And perhaps he has a point. On various occasions yesterday the entire back four were caught out of position and Germany (now 6/1 in the World Cup football betting) were able to leap on their mistakes. Admittedly, Campbell wouldn't have been able to sprint back had he drifted out of position, but then it's highly unlikely he would have needed to. In his games for Arsenal at the end of last season he showed that although he's lost a yard of pace, he has lost none of the positional sense that makes a centre-back World Class. The English backline also lacked leadership and organisation, something an experienced pro like Campbell would have brought to the side. John Terry may be a former England captain, but it certainly didn't seem like that on Sunday. The World Cup betting odds made the Three Lions favourites for the game, but they were utterly humiliated. Of course, Campbell's chance has past now and there's no way he'll ever be selected for the England side again. This World Cup was his only hope of adding to his 73 caps. However, Fabio Capello was willing to drag Jamie Carragher out of international retirement so he should at least given Big Sol due consideration. As it is, Campbell stayed at home and although it seems unlikely he could have lifted the England side to victory, he certainly would have helped them avoid such an ignominious defeat. Cole Cole be on his way to the Gunners? Arsenal could be closer to adding England midfielder Joe Cole to their squad as they look to win the Premier League title next season. The winger, who has been at the centre of some of the chaos surrounding England's World Cup bid after John Terry called for Cole to come into the team, is leaving Chelsea this summer and has been linked with several of the club's rivals. Manchester United, who are dreaming of leapfrogging Chelsea to the Premier League title next season, have declared they are "not interested" in signing Cole, while Arsenal's North London rivals Spurs are also linked with the player. Their manager Harry Redknapp has told TalkSport however that the player himself has "not wanted to speak to anybody", which suggests the race is still very much on for the England man. The fact of the matter is, Cole probably wants to concentrate on helping England to justify their 2010 World Cup odds before he decides on his future. Arsene Wenger is working hard to overhaul his squad this summer to ensure they can go for the Premier League title next season, and Cole is a quality player who could add a lot to the Gunners midfield. The French manager has secured the signing of Maroune Chamakh to bolster his strike force, while his attentions are also focused on adding to his defence as the likes of William Gallas, Sol Campbell and Mickael Silvestere are all likely to leave the Emirates. 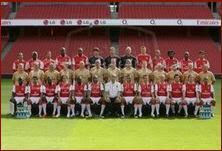 The Premier League 2010/11 betting suggests Arsenal will be in with a great chance of winning the title next season, but they will need to replace these players if they are to stand any chance of doing so. Although the signing of Cole could plug a midfield gap at Arsenal, Wenger has also confirmed this week that he has made a bid for Lorient defender Laurent Koscielny. With the veteran trio of Gallas, Campbell and Silvestre all out of contract, Wenger wants to sign a quality centre back to line up alongside Thomas Vermaelen next season, and he has obviously identified Koscielny as that man. Gallas on his way out? He may be attempting to lift France from their poor opening display against Uruguay to respond to Group A Betting 2010 World cup pundits, but William Gallas reportedly has other things on his mind. There have been murmurings in Italy that the Arsenal defender is in talks with Juventus about a move to Turin once the finals in South Africa have concluded. It seems they are keen to strengthen their defence following the departure of Fabio Cannavaro to Dubai. The agents of Gallas – who is out of contract at the Emirates – have been speaking with Juventus' general manager Beppe Marotta about a move and it is thought that the player himself is keen to move on. The stumbling block, as ever, could be money and length of contract. At 32-years-old, Gallas is likely to want a three-year contract to help move into the final part of his football career, whereas Juventus may only be prepared to offer one for two years. It seems as though it is a case of watch this space. As previously mentioned, Gallas is busy on international duty at the moment, so things may not be fully sorted until France are knocked out of the World Cup. On the evidence of their first game though and considering that World Cup Group B Betting pundits have them down to potentially face Argentina in the next round, this might not be too long. They looked lethargic and lacking in ideas during the 0-0 draw with Uruguay and will need to pick things up in their second group game against Mexico tomorrow. There is strong Arsenal interest in the French squad, after all. As well as Gallas, there is Bacary Sagna, Gael Clichy and Abou Diaby who, along with former Gunner Thierry Henry, will be hoping for things to improve for the team in the coming weeks. The constant speculation about the future of Arsenal midfielder and captain Cesc Fabregas shows no sign of abating, but one former Gunners star thinks the club would survive without their talisman. While the Spanish midfielder is away with his national side preparing to help them justify their tag as World Cup favourites, the media frenzy linking Fabregas with a move to Barcelona rolls on. Many Gunners fans could be worried that without their captain and star player the club may struggle to battle for the Premier League title, however former Arsenal goalkeeper Jens Lehmann believes the club would survive without the Spain star. 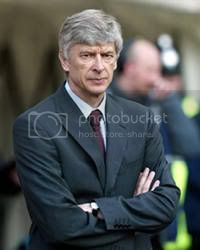 The former German international is also sure Arsene Wenger would be able to find the right replacement for Fabregas to help drive the club forward in the coming years. "Of course, it would be a disappointment for the Arsenal fans and the club [if Fabregas was to leave] because he was the main man during recent years," Lehmann said. "But you have to move on as a club and if players want to move, you can't force them to stay. I think Arsene Wenger will find a good replacement if he leaves - probably some more mature players - and they will be up for the title again." 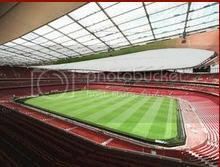 While most of the media attention focused on the Gunners has resolved around their star midfielder, Wenger is likely to have spent time looking at new defensive options to replace his ageing stars like Sol Campbell, William Gallas and Mickael Silvester. The football betting suggests Arsenal will be in the mix for the title again next season, but Wenger knows changes must be made. On the Arsenal season review DVD the French manager said his defence needs to make "basic improvements" and he would be spending the "right money" to rectify these problems. It is highly doubtful Theo Walcott had bothered making any summer holiday plans prior to the announcement of England's World Cup squad on Tuesday. The Arsenal man was seen by many World Cup betting pundits as a likely starter in South Africa and as such almost everyone assumed Fabio Capello would select him as one of the 23 players who would form the squad. However, Walcott was left out and it could be argued that his exclusion this time around is as shocking as Sven Goran Erikson's decision to take him to Germany four years ago. This isn't the case though, and in not picking the player Capello has served to highlight what is lacking in the winger's game. It's true that Walcott had an excellent game against Croatia, scoring a hat-trick for his country and boosting their qualification hopes in the process. He also enjoyed a number of good games for his club side, most notably his game changing cameo against Barcelona in the Champions League. But Walcott has lacked consistency and confidence. Although he's regularly criticised for having no end product, this simply isn't the case. He can shoot and cross, it's just he's often unable to make up his mind. Too often his runs would end up with him losing possession because he'd held on to the ball for too long and it seems Capello finally lost patience. Of course, the Arsenal player still has time on his side, he's only 21 after all and he's made all the right noises about what would have been a crushing blow. Walcott said: "I am very disappointed not to be included in the squad going out to South Africa, but completely respect Mr Capello's decision. "I would like to wish the team the best of luck and hope they have a really successful tournament." If Walcott's good attitude can be reflected in his performances, then he could still have a key role to play in future England sides. The World Cup Odds certainly back him to be involved in the next two World Cup tournaments.